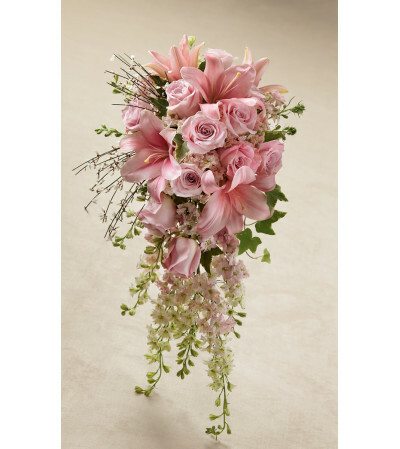 The FTD® Pink Effervescence™ Bouquet is a gorgeous statement piece to create the ultimate bridal look. Pink roses, larkspur, and LA Hybrid Lilies are blushingly beautiful accented with white genista and variegated ivy. 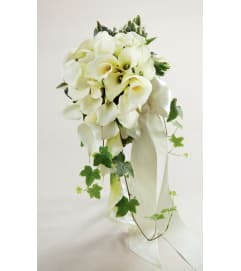 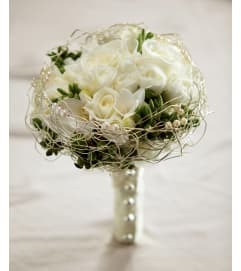 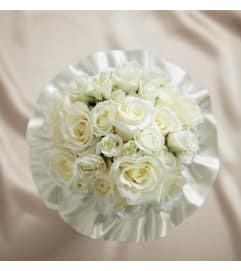 Tied together at the stems with a silver gray satin ribbon, this bouquet brings a sweet sophistication to your big day.